Free dental treatment for Kids! Hair cut and colour, check! Spray tan, check! Why not brighten your smile with teeth whitening! Are you embarrassed to laugh, smile or show your teeth? Worried because you haven't been to the dentist in years? Do you want your kids to have the best start in life with healthy teeth? You're in good hands with Best St. Dental! Even if you haven't been to the dentist in years, we're here to help you. Regain your confidence by achieving the smile you've always dreamed of. Overcome your fears, experience great dental care and advice you can trust. Maintain your dental health as painlessly and conveniently as possible. With a strong emphasis on caring for our clients, young and old, Best St. Dental has a well deserved reputation as Wagga's preferred dental clinic. 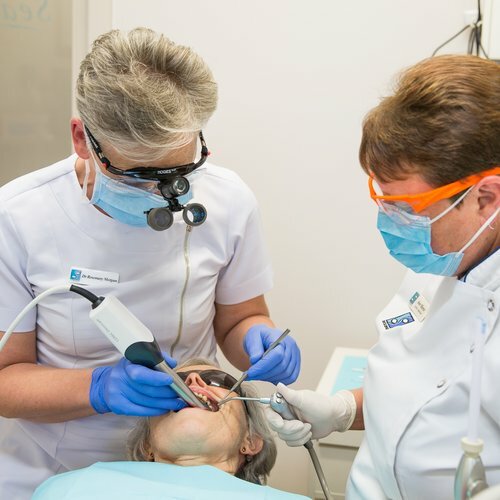 Our dedicated team provides quality dental care in modern and friendly surroundings to the community of Wagga Wagga and surrounding districts. Teeth whitening is a non-invasive procedure that can help your teeth appear whiter, brighter and younger. That's a reason to smile! Rest assured, we might be able to help! We all know that tooth decay can lead to tooth ache, dental infections and even tooth loss, but there is another common problem that we see everyday in our practice and it’s only becoming more common, CRACKED TEETH. Your child’s oral health; the three most common questions answered! If you’ve ever worried about your child’s teeth or if they may have problems with their teeth in the future, then this article is for you. More than 280 people are diagnosed with diabetes every day and that number is increasing. The total annual cost of diabetes across the nation is $14.6 billion!!! There are up to 2 million people at risk of developing type 2 diabetes. Your mouth plays an important role in contributing to your general health. Decayed teeth or bleeding gums harbour millions of bacteria. Aside from possibly causing a toothache or a dental or gum abscess, these bacteria can be harmful to your general health. Worrying about having bad breath is a common social anxiety. Bad breath can be caused by poor oral health or by some medical conditions, so knowing when you have it and what to do about it are really important. In some cases fear of bad breath can lead to social isolation. Do you know someone that is house-bound or living in an aged care facility? Maybe someone with an intellectual disability that makes it difficult to be comfortable in strange surroundings? This is an important article that could make the world of difference to you. Find out what pork pies can tell you about your teeth! We’re very excited to announce a new service at Best St Dental. Dr Mark Wotherspoon is commencing a home visit service for patients that are unable to come into a dental practice. Recently, I returned to a pilates class that I had not been to for a while. Why had I stopped? Was I tired of it? Here are five tips to make brushing fun! Our Specialist Orthodontist, Dr Charles Daniels, creates beautiful smiles for children, teenagers and adults. Time to get the brighter, whiter smile you have been looking for.